Sameer Al-Dbhany was chipleader early on Day 1C, building his stack up to more than 600,000 by the end of the day. He was definitely one of the most aggressive of the players throughout the entire Main Event. Al-Dbhany kept that chiplead through most of Day 2, coming to today's final table with 2 million more in chips than his nearest rival. 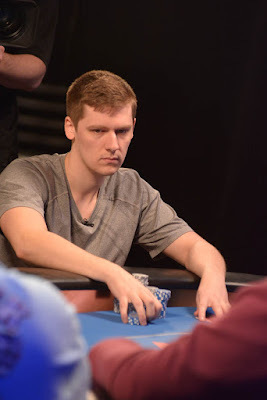 He briefly surrendered the chiplead to Frank Covich, then took down a massive pot with KK against the AK of Covich and A6 of Jacob Moore to gain 80 percent of all the chips in play 3-handed. 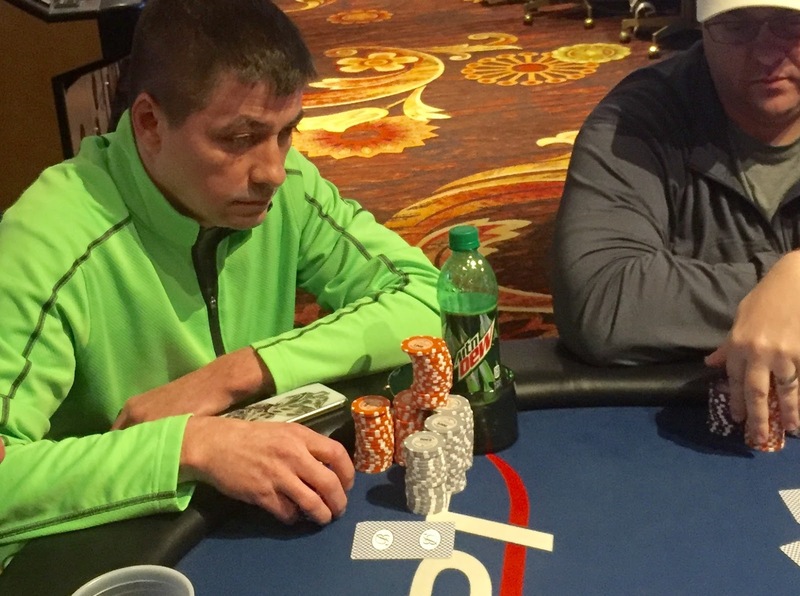 Covich was eliminated by Mark Geith, setting up the heads-up action. 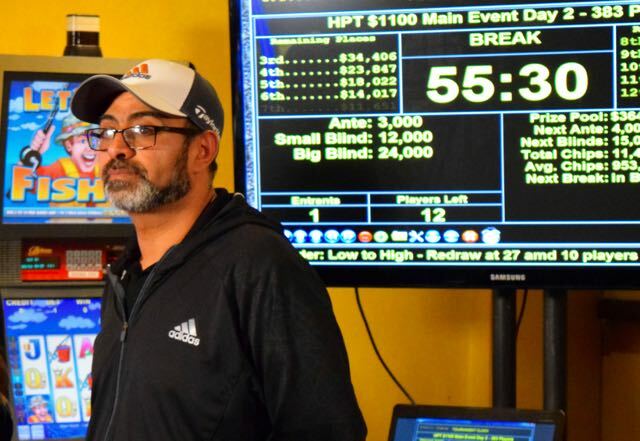 The final hand had Geith reraising preflop to 860,000 and Al-Dbhany calling. 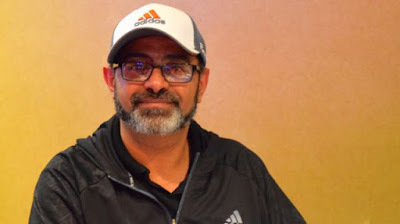 Al-Dabhany flopped top pair and snap-called the all-in by Geith, who was holding K♦️ J♥️. 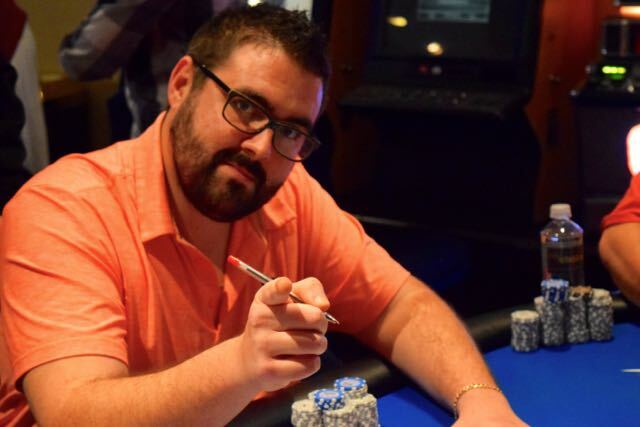 Gieth turned a flush draw but didn't get there and the tournament was over. Al-Dbhany wins $83,732 for taking the HPT Belterra title, and he also gets a $3,600 HPT Championship package, coming out to Thunder Valley Resort in northern California in late October for that event. 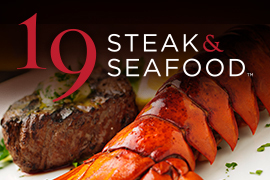 The next HPT stop is Ameristar Kansas City April 8-18, see you there. 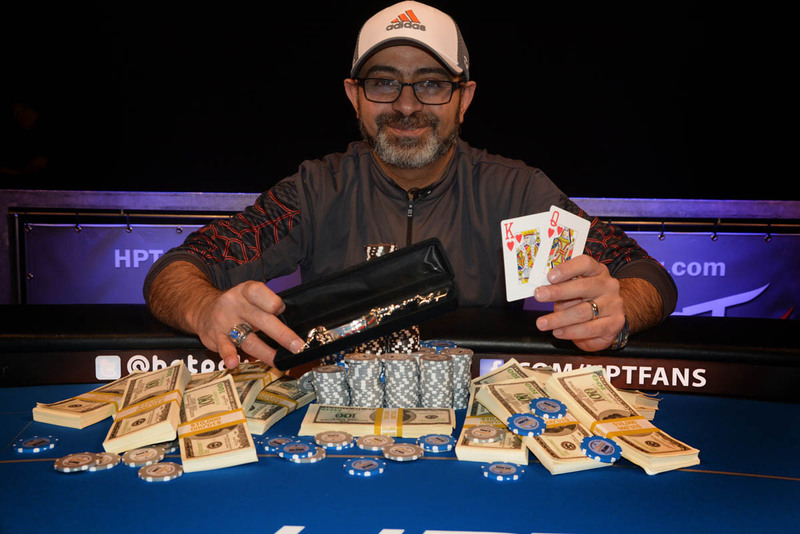 - Here are the 2016 @HPTPoker @Belterra $1100 Main Event Results. 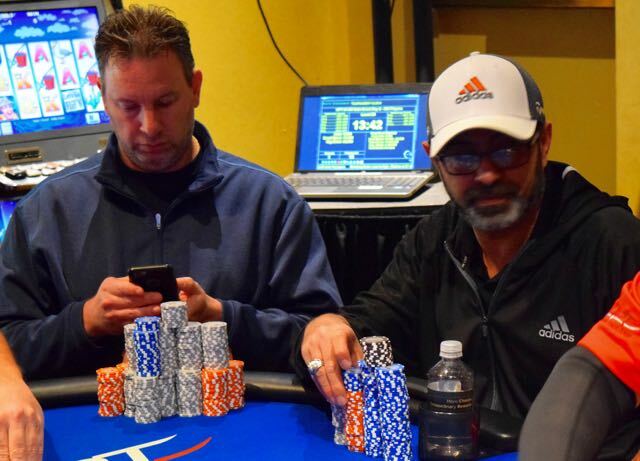 The @HPTPoker Main Event @Belterra is heads up between Sameer Al-Dbhani and Mark Geich, the winner taking home $83,732 and a seat in the HPT Main Event at Thunder Valley Resort in northern California in late October. 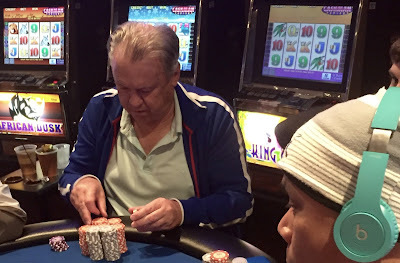 Second place today takes home $51,699. 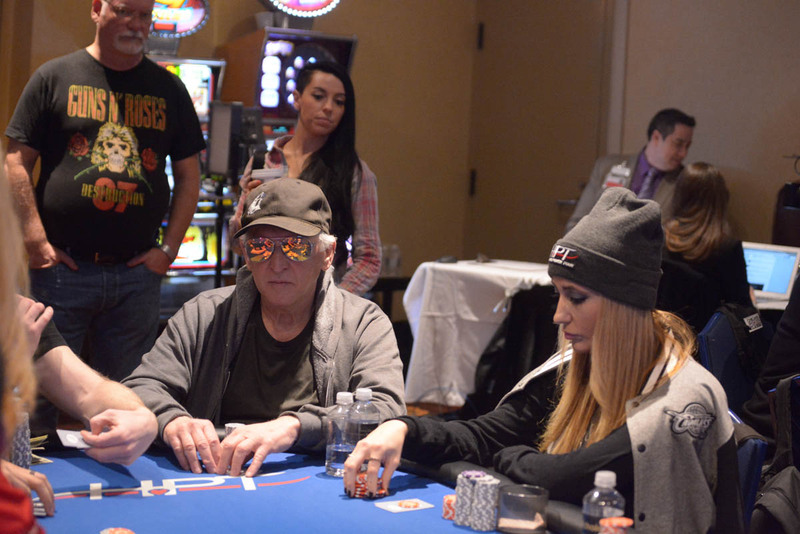 Frank Covich is all in preflop and Mark Geigh makes the call, having Covich covered. The board runs out Ah 6s 2h Th 9h, a flush for Geich and Covich is eliminated. 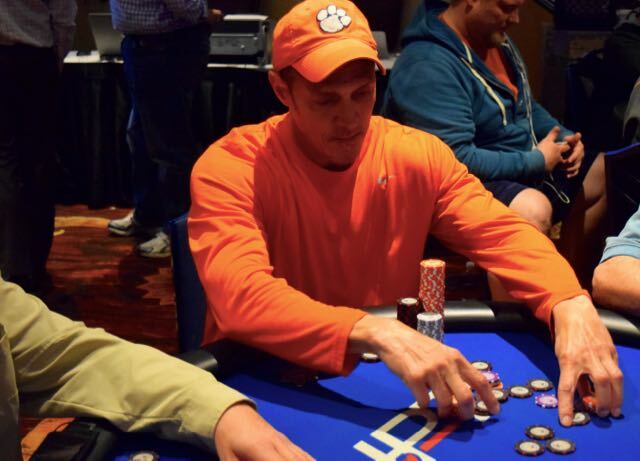 Jacob Moore moves all in preflop for 1,305,000. Sameer Al-Dbhani reraises all in for 2,925,000 and Frank Covich moves all in also and has 3,300,000 for by far the biggest pot of the entire tournament. The board runs out 8♣️ 4♦️ 2♦️ J♥️ 9♣️, Al-Dbhani gets a huge near-triple-up and Moore is eliminated. 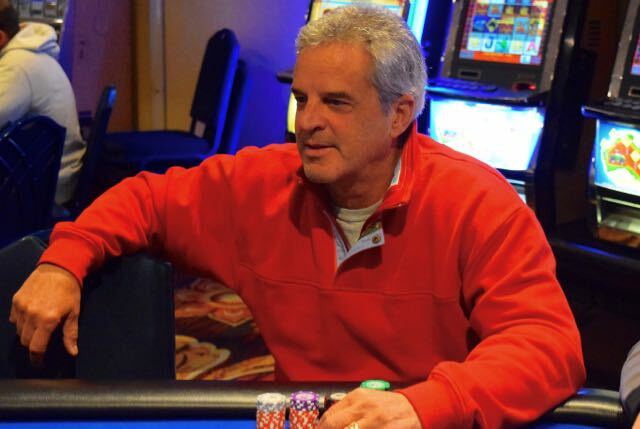 Mark Geich has 1,600,000 as we move to 3-handed play. The board runs out Q♠️ T♣️ T♥️ 9♣️ 5♦️ and Breslauer is out in 6th place, cashing today for $14,017. 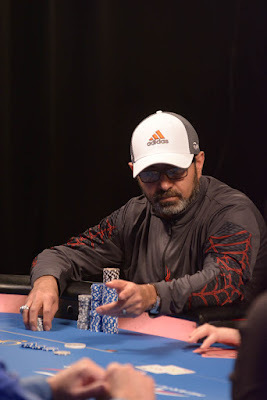 Mike Sites leads out preflop, Sameer Al-Dbhani raises to 315,000 and Mike Sites makes the call. 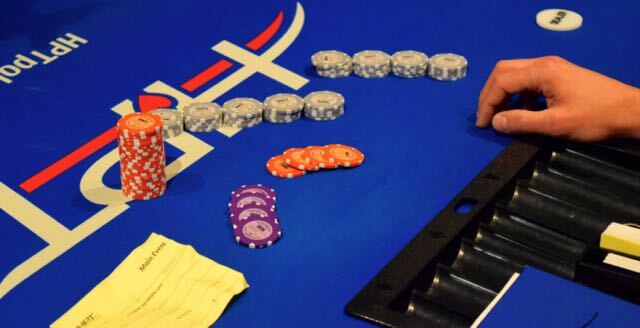 The flop is 3♣️ T♥️ 2♠️, Sites quickly moves all-in and A-Dhani just as quickly makes the call. 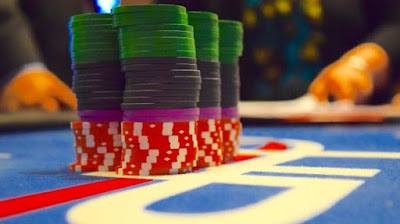 The board runs out 6♠️ 9♠️ and Sites is eliminated in 7th place. 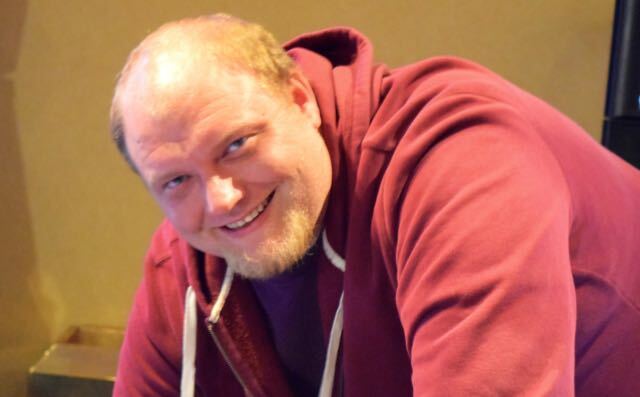 @PokerGuru740 Rob Kuhn was all-in 4 straight hands without a call, but Mark Geith pulled the call-trigger this time. 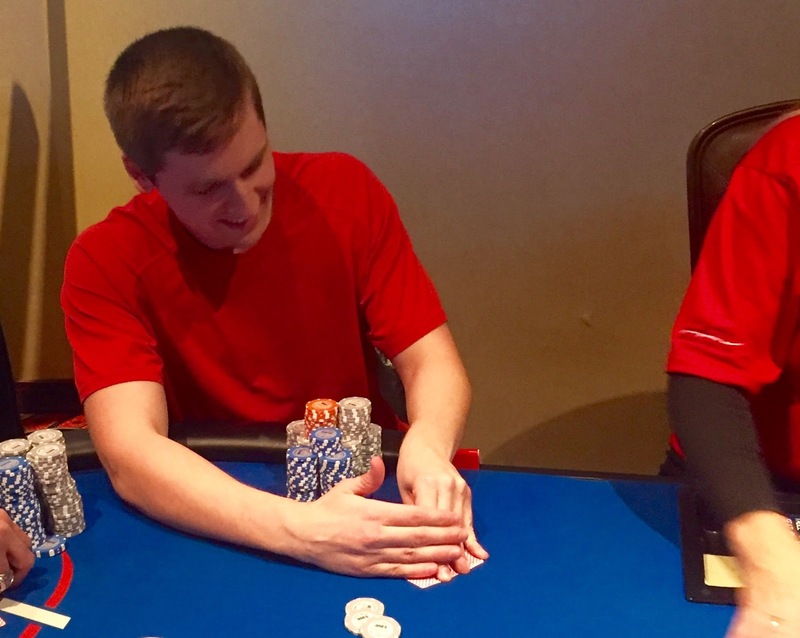 The board runs out 3♦️ 5♦️ 9♥️ 3♥️ T♠️ and Kuhn is the first elimination of the day. 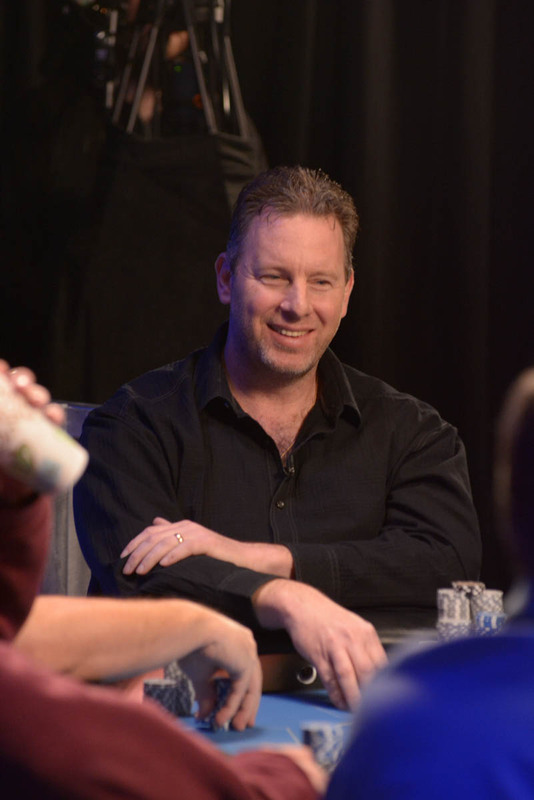 Down to 10 @HPTPoker @Belterra, one away from tomorrow's TV Final Table. 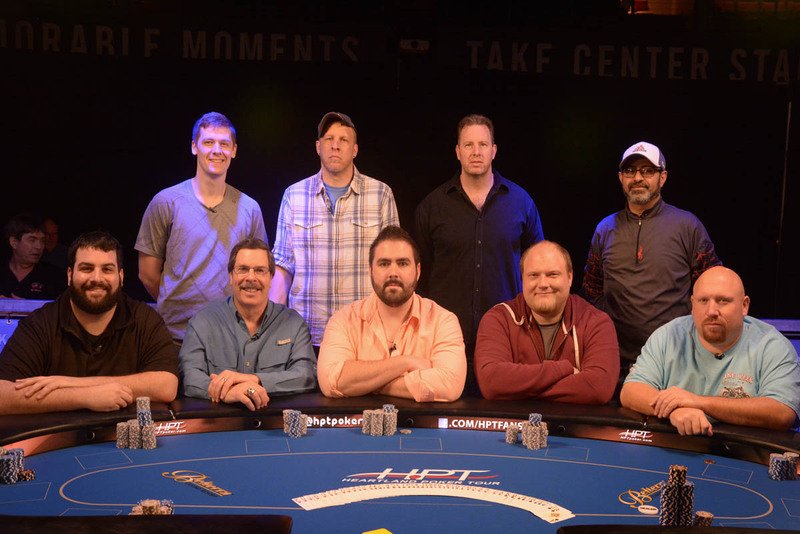 here are the 10 players and their chipstacks, in seat position order. 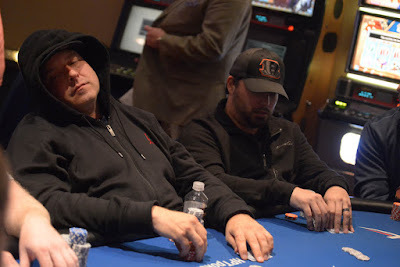 Both Terry Moore and Jesse McEuen have been eliminated here shortly after coming back from dinner break, sending the final 10 players into a redraw for one table, and one more elimination until the end of the night. 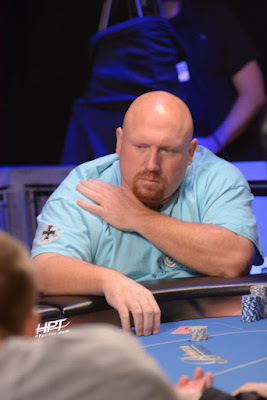 3 quick @HPTPoker @Belterra bustouts has the field down to 12 as dinner break approaches. First it was Charlie Ciresi in 15th, then Ben Beighle in 14th (both pictured above. 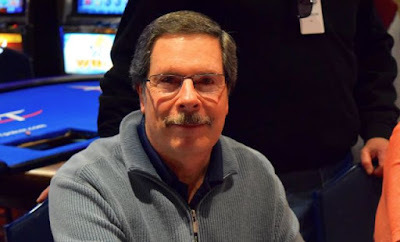 Then George Woodt ran 99 into the JJ or Gary Breslauer, only to flop a 9, only to have Breslauer turn a J and eliminate Woody in 13th. 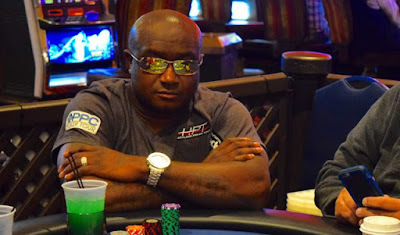 Day 2 of @HPTPoker @Belterra $1100 Main Event has reached its 60-minute dinner break with 12 players left in the field. 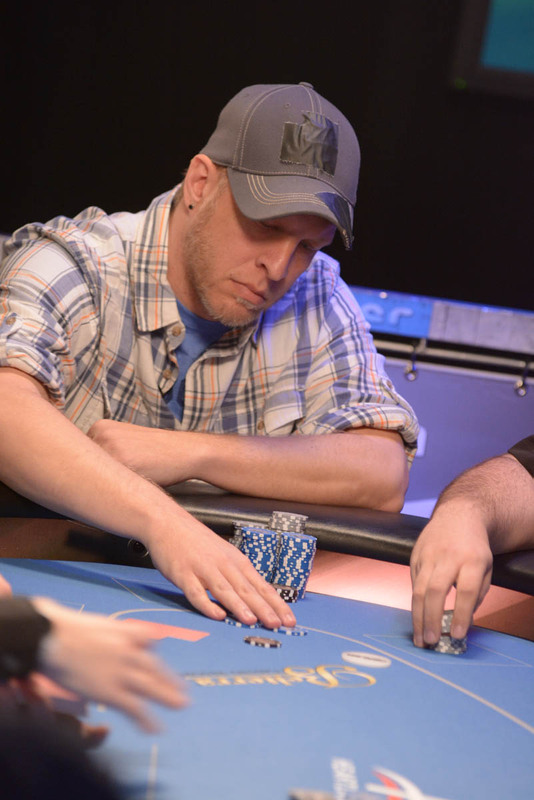 Play wraps up tonight at whatever time the field is narrowed to the TV Final Table of 9. Monday's final table is being filmed live inside the Center stage Showroom here at Belterra starting at pm, with audience seating so come on down and watch the final table action. Table 11 @HPTPoker @Belterra has a three-way all-in, with Charlie Ciresi, Ben Beighle and HPT Vicksburg champ Chan Pelton. Ciresi is the shortstack and Beighle has everyone covered. 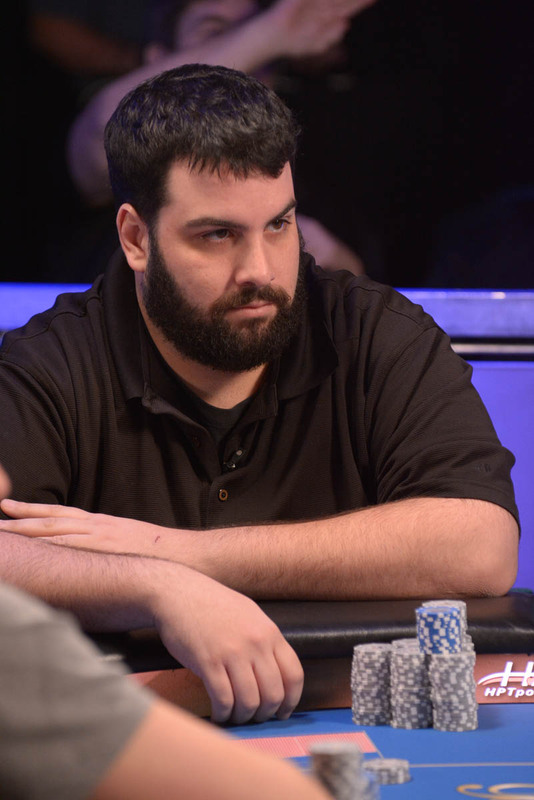 The board goes K♦️ K♣️ Q♠️ 4♦️ 2♠️, Ciresi is going to triple up, with Pelton being eliminated. 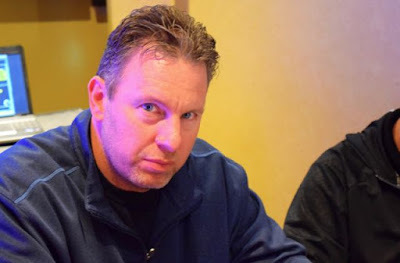 At @HPTPoker @Belterra Main Event we have Gary Simms all-in, called by the Ryan Tepen replacement Rob Kuhn. 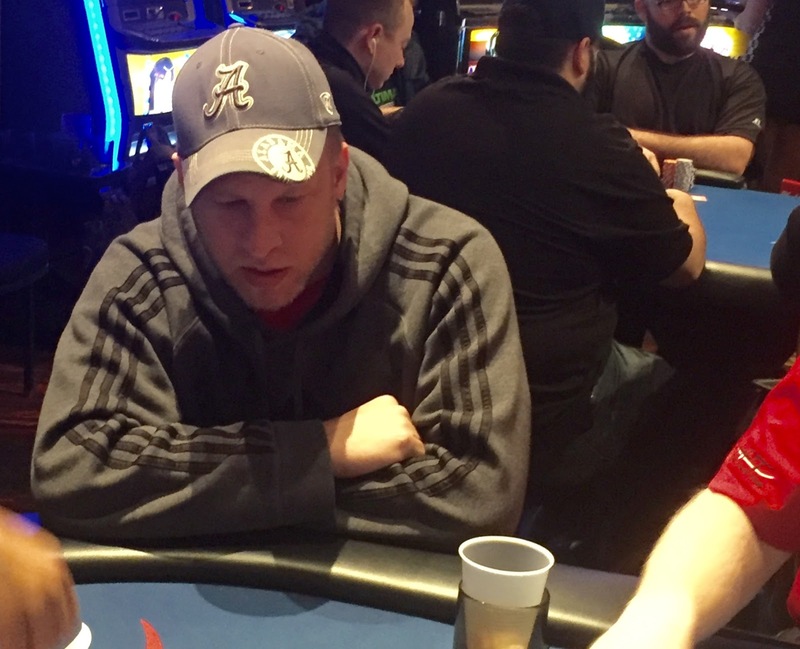 The board runs out T♠️ 2♦️ 2♣️ 6♥️ A♥️ and Simms is eliminated in 18th place, cashing for $3,532. Kuhn moves to 1.1 milly. 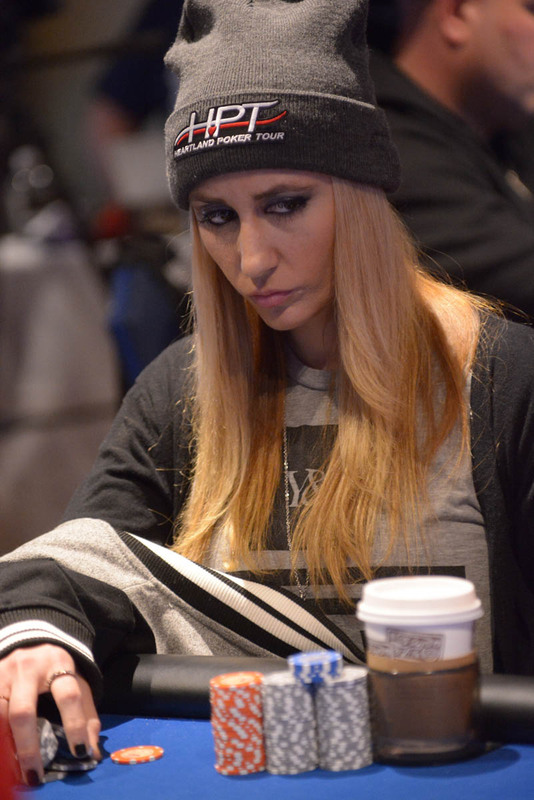 The @HPTPoker @Belterra Main Event run has come to an end for Vanessa Rousso, eliminated in 19th place. 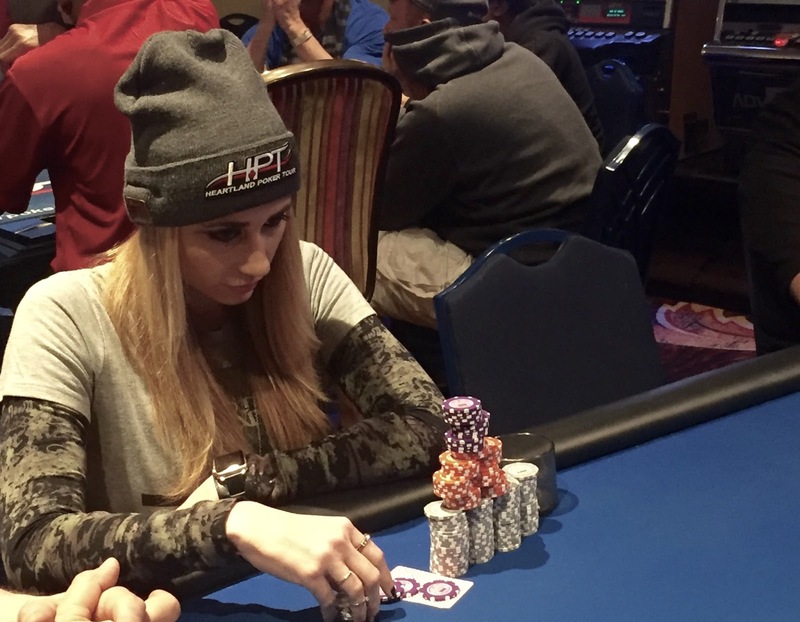 Her table broke with the bustout, brining the tournament down to its final two 9-handed tables. 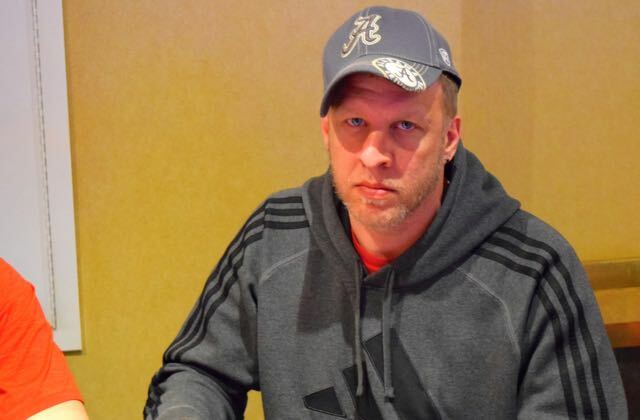 The @HPTPoker @Belterra Main Event is through 21 levels and just 26 of the 383 entries remain. Here are some chipcounts as the players go on a 15-minute break. 4 times at @HPTPoker @Belterra Main Event, Mike Sites faced a bubble, and he ended up running 2-for-4. Sites bubbled Day 1A, being the last player out before the bag-n-tag at the end of the night. Day 1B and Sites repeated the process, with 22 players advancing and he busted in 23rd. Not to be deterred, Sites was back on Day 1C ... and this time he survived the end-of-night bubble, advancing to Sunday's Day 2 with 131,500 chips. 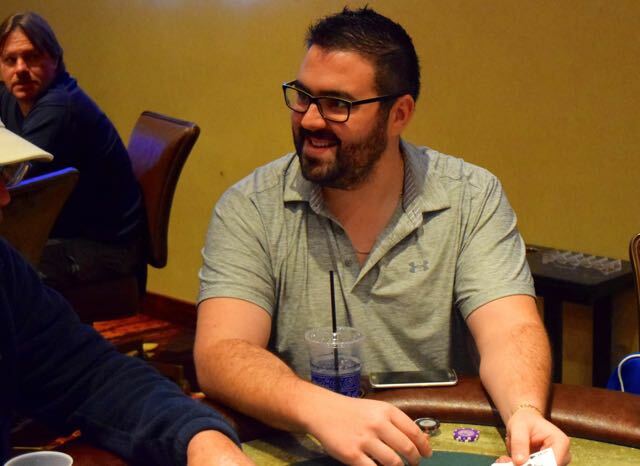 He's now batting .500 for the series as he made it through the most important bubble .. the money bubble ... and he's at 230,000 chips now. 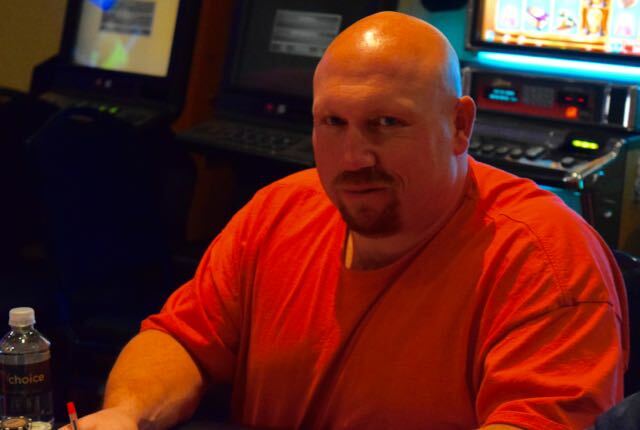 @HPTPoker @Belterra we lose Barry Brown when his J-Q all-in gets called by the A-K of Jamey Kramer on a 8-2-2-T-2 board. @HPTPoker @Belterra Frank Covich doubled on the second hand of the day - against George Woody - and he has not slowed down since. He just flopped a set of deuces and had Jeff Goodrich shove into him when Goodrich held 99 for an overpair on a 6-4-2 flop. 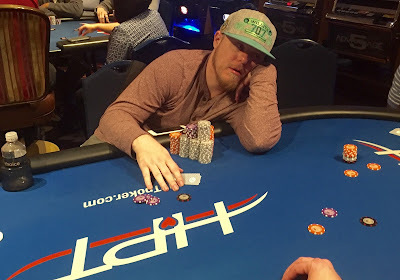 The 6 turn gave Covich a boat, and knocked out Goodrich. @HPTPoker @Belterra 46 players remain, 45 cash, so tournament director Jeremy Smith had asked all dealers to "hold up after this hand," as hand-for-hand play is about to begin. 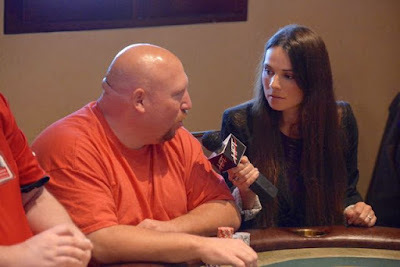 @HPTPoker @Belterra we see @FossilMan singing his bustout-fossil for Mike Comisso (on Raymer's right). 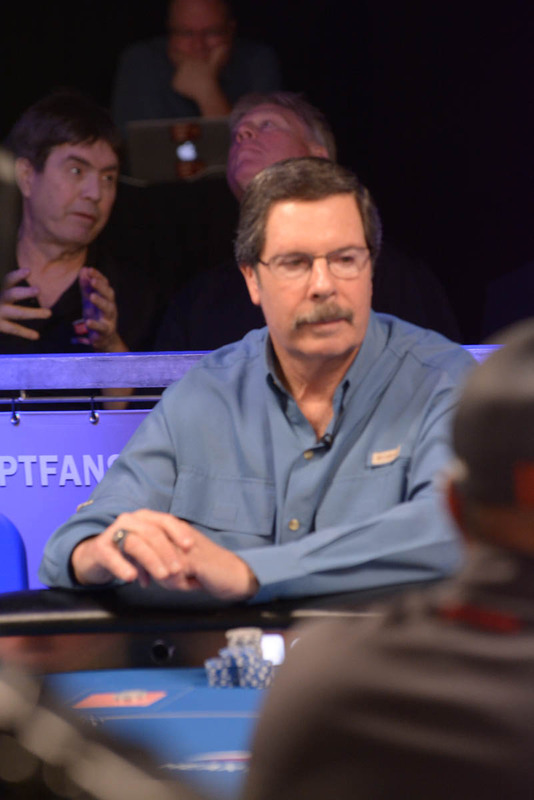 We missed the hand but we see Comisso is up to 520,000 as players are now 5 from the money. The new Murderer's Row at that table include Vanessa Rousso, Comisso and Craig Casino. @HPTPoker @Belterra Day 1B chipleader Sean Small leads out for 12,000, John Shepherd moves all in from the cutoff and Small snap-calls the much shorter-stacked Shepherd. Small catches top pair on the flop of T-Q-J, but that is a straight for Shepherd. The turn T gives Small a few outs to a boat, and the Q river gets him there, eliminating Shepherd in 55th place, breaking the table as well. Beth Locke is out at table 8 on the same hand, bringing the field to 54 players, and two more are gone before we post this. @HPTPoker @Belterra Ben Grise and Jeff Russell started the day with nearly identical chipstacks. Russell chipped up some early, then the players ended up all-in and Grise earned his double with a set of Kings. 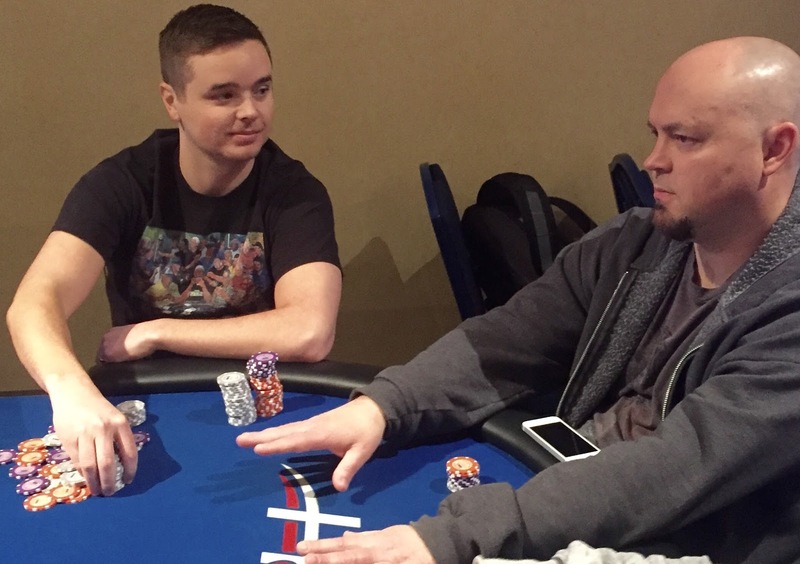 63 players return today for Day 2 of the $1100 Belterra Main Event. 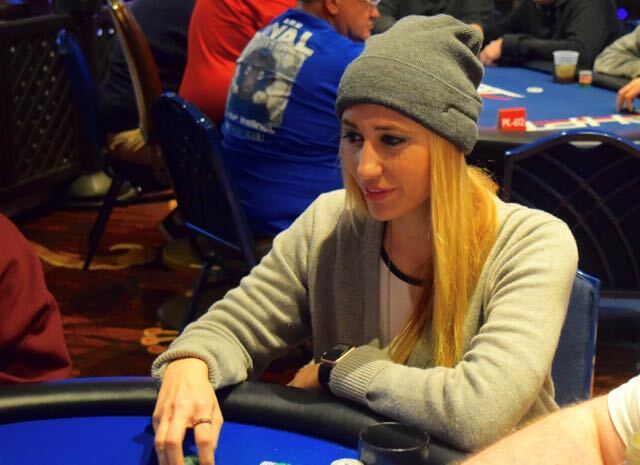 45 cash and we are going to wrap the day up when down to the 9-handed TV Final Table. Play begins at the start of Level 16 today, playing 40-minute levels all day. 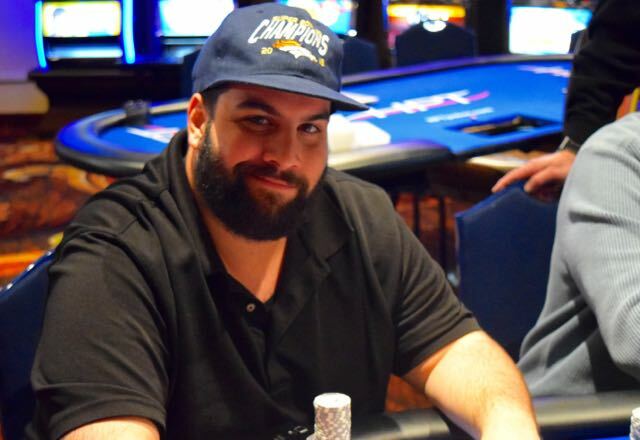 Saheem Al-Dbhuri did some serious chipping-up over the last 2 hours last night, bagging 612,000, more than 100k clear of the field as Day 2 starts. 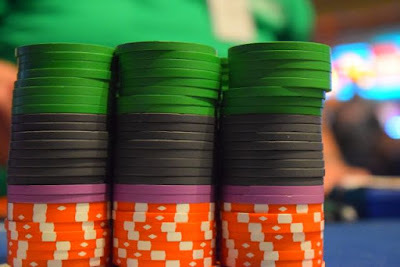 Check the Chipcounts Tab above for the 63 players and what their starting stacks are for the day.